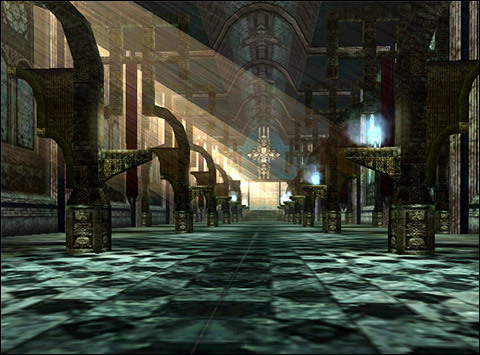 Monsters Stones are an instance dungeons which can be accessed by using the Monster Stone items. Obtain Monster Stone by hunting monsters. Register Monster Stones in the skillbar and use it to be transferred to the dungeon according to your level. When in a party, only the party leader can use the stone. There are 3 different maps of Monsters Stones and depending on the character level, the challenge level is different. This is a cave under the basement of Juraid Mountain, Eslant. It is said that a huge hole was created at the mountain due to the long-standing combat with the evil army. The evil army is within the whole basement. Due to that, to prevent the loss of combat power, El Morad and Karus allows access to only qualified Knights at certain times through the Gatekeeper! Apply to Reserve Knight Captain at Eslant. 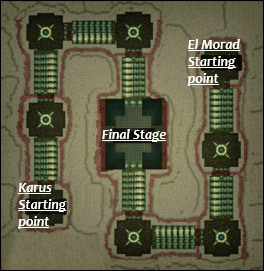 Players are divided in to groups of 8 vs 8 for Juraid Mountain. Combat time is 50 minutes, and parties are formed automatically once you enter. Bridge to the next stage appear once you defeat Juraid monsters. Even if you cannot defeat all monsters, the bridge appears after 10 minutes, one by one. Nation to defeat the 'Devabird' monster protecting the central area will win. If 'Devabird' is not defeated in 50 minutes, the nation with higher kill count will win. Every time you defeat monsters at Juraid, many types of Gems drop. Obtainable Gems are different according to the result; win and lose. You can exchange Gems from Juraid at the Chaos Generator in Moradon. Go to the [Priest] Iris at Moradon Castle to apply and participate. You can enter 5 times a day. Depending on the level requirements, the schedule is different. Level 46-59 events are at 08:00 and 18:00, Level 60-83 events are 02:00 and 21:00. 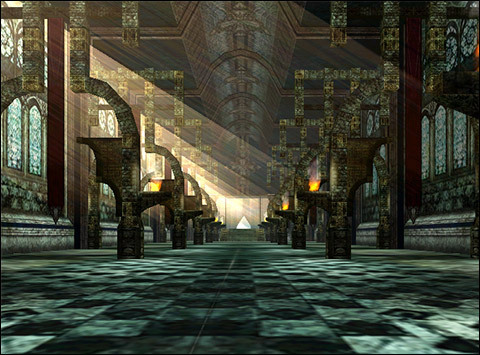 A maximium of 32 players are allowed in Forgotten Temple in the order of arrival, and they will have a waiting time of 5 minutes once inside. 5 minutes after entrance, various types of monsters appear every few minutes, and power of the monsters increases continuously. Reward is distributed only if you survive the onslaught of monsters in the Temple until the end. 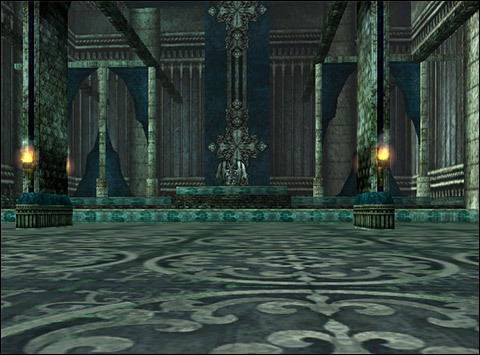 Depending on the level of the participant, the top prize can be Green or Blue Treasure Chests. 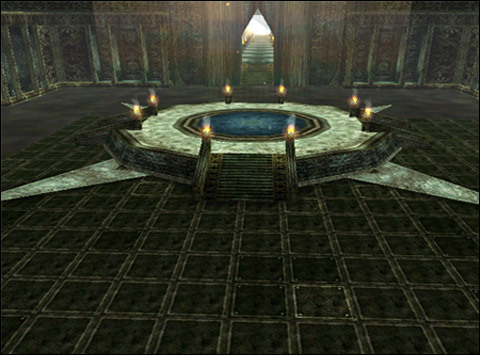 Level 46~59: The Top 50% of damage dealers will obtain a Green Treasure Chest and 1 Lower-level Forgotten Temple Coin. 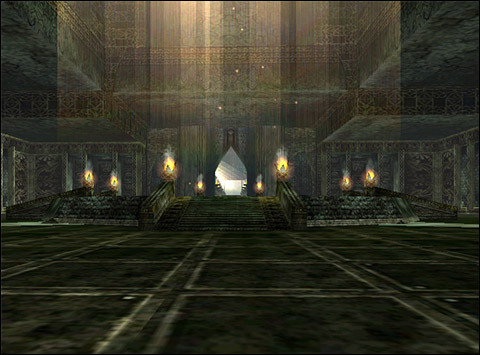 The Lower 50% of damage dealers will obtain a Red Treasure Chest and 1 Lower-level Forgotten Temple Coin. Players/Parties who do less damage than 50,000 will not receive a prize. Players who die will receive no prize. Level 60~83: The Top 50% of damage dealers will obtain a Blue Treasure Chest and 1 Forgotten Temple Coin. The Lower 50% of damage dealers will obtain a Green Treasure Chest and 1 Forgotten Temple Coin. Players/Parties who do less damage than 50,000 will not receive a prize. Players who die will receive no prize. Entrance can be gained via [Twillight Knight] Linguist at Luferson Castle or El Morad Castle. Under The Castle is open every Friday from 20:00 – 22:00. Only players that are level 75 or higher will be able to enter to the event. Under The Castle is a weekly event consisting of 4 stages and 4 different bosses : Mammoth the 3rd, Crasher Gimmick, Purious and Pluwiton. This dungeon offers unique quests and items.